Welcome to the Under The Hood radio show! Under The Hood is America's Favorite and largest Car talk radio show airing on over 220 stations and one of the top Automotive Podcasts in America. Established in 1990 the program features three friends giving great car repair and care advice and how-to tips while having great fun with the listeners. Join them to get your car questions answered and learn more about everything automotive. Thanks for Tuning-In and Tuning-Up with the Motor Medics! The Hoodie Store is NOW OPEN! Get yours today! 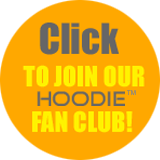 Check out our Automotive Theme Hoodies Hats and t-shirts The Store is Now Open! Order Online today, MOST HOODIES AND SHIRTS SHIP NEXT DAY! Under The Hood is serious about the safety of everyone in the car. Buckleupallofus™ is here to remind the kids and you to buckle up every time you get in the car. Under The Hood has teamed up with Award-Winning, Nationally Honored Child Safety Cartoonist, Jim Weicherding & Buckleupallofus to bring awareness to all. Click here for production help or if you are an affiliate wishing to air Under The Hood. This link for affiliates only, car questions will not be answered at this link. The name Under The Hood'® as used for any form of automotive show broadcast over the air or by global internet (podcast) as well as ,the Motor Medics® Tune-In and Tune-Up® and Nordstrom's® Automotive Inc. are federal registered trademarks of Nordstrom's® Automotive Inc. and may not be used without our permission. © 1990-2019 The Under The Hood® Radio Network all rights reserved. All automotive repair and help advice written or oral on the Under The Hood® website, facebook, twitter, instagram and radio show and its entities is for entertainment only. Always consult with your own automotive repair technician before attempting any car repairs. Always get your own hands-on vehicle diagnosis before replacing parts or beginning automotive service procedures or repairs. Opinions and/or claims of the people and/or companies interviewed by Under The Hood® are of their own accord and do not necessarily reflect the views or opinions of the Nordstrom's® Motor Medics® or Under The Hood®. Always investigate products or services on your own before purchasing or using.